Planning a meeting or chairing a committee? Where do you begin? Use tips from Bob Harris, CAE, whose 20 years of experience with association management focuses on core knowledge and member needs. Bob offers advice on how to plan a meeting, how to conduct business during the meeting and important steps to follow after a meeting. Association involvement establishes that you care about your profession and your community. Volunteering puts you in contact with other community-minded people, who can teach you the crucial business issues impacting the community (e.g., employment issues, zoning issues, etc.). These experiences can offer you the opportunity to learn skills to work with press releases and handle telephone calls or can entail public speaking opportunities with local media. This is practical experience for your real estate career. The Bylaws sets forth the organizational policies and governing procedures for our Association according to NAR. Association staff can refer to NAR's Model Bylaws as a guide when developing and updating local association bylaws. The CODE OF ETHICS AND ARBITRATION MANUAL sets forth professional standards policies and procedures to enforce the Code of Ethics, including arbitration and mediation. The NAR MODEL CITATION POLICY assists state and local associations in developing citation policies, including fines, for receiving and resolving ethics complaints. Multiple listing services refer to NAR's MODEL MLS GOVERNING DOCUMENTS when adopting local MLS policies. These models are part of the HANDBOOK ON MULTIPLE LISTING POLICY. The MLS COMMERCIAL HANDBOOK sets forth the model MLS governing documents for commercial and industrial MLSs and commercial information exchanges. This year's leadership team includes Donna Guido, Josh Burdine, Robin McKeever, Juliana DaCosta, and Bill Steinke. This page provides links to our policy documents including the Code of Ethics, Bylaws, and governing documents for the Florida Gulf Coast Multiple Listing Service. CLICK HERE for more information about NAR’s review of local association governing documents. The NAR CODE OF ETHICS AND STANDARDS OF PRACTICE establishes ethical duties that all REALTORS® agree to follow as a condition of their membership. These duties provide a high level of service and professionalism to clients/customers and are the key factor separating REALTORS® from all other real estate practitioners. PROFESSIONALISM IN REAL ESTATE PRACTICE provides a concise explanation of the meaning and content of the Code's articles and standards of practice. The Royal Palm Coast REALTOR® Bylaws govern the Association, its committees and leadership. READ AND DOWNLOAD RPCRA Association Bylaws listed on the left. What Are Committees? When it comes to making decisions at the local level, our committees, advisory boards, forums, and task forces are the first place where ideas are discussed and voted upon before being approved by the Board of Directors. Why Serve on a Committee? Committees help shape the direction of our Association and its policies. If you want your voice to be heard and wantto contribute to the decision-making process, our committees are a great forum for debate and discussion. Experience on committees is beneficial for those interested in seeking a future leadership roles. 2018 Committee Sign Ups are now closed. Enforcement of the Code of Ethics is a privilege and responsibility of each Board and Association as established in Article IV of the Bylaws of the National Association of REALTORS®. Members of the Professional Standards and Grievance Committee(part of the Professional Standards Committee) attending annual mandatory Professional Standards Training. REALTOR® & Affiliate Members; Works towards protecting private property rights for commercial and residential REALTORS® as well as property owners. Interviews candidates running for office at the state and local levels; provides Key Contacts for legislators and local officials. The Realtor® PAC sub-committee works to raise funds to promote Realtor® friendly candidates and to advocate on legislative issues. REALTORS® ONLY: Identifies, updates and gauges MLS challenges and opportunities. Provides a communication link between the REALTOR® membership and the Florida Gulf Coast Multiple Listing Service. Brokers and Executive Managers work to increase Broker professionalism by broker members presenting solutions to issues pertaining to running a successful brokerage, and sharing ideas for training successful sales agents. REALTOR® & Affiliate Members: Promote activities and professionalism of the Association and REALTORS® throughout the community. Also, works with other Committees to prepare and review articles for the quarterly Florida Realtor® magazine. Develops editorial calendar and content for social media to extend communications on Facebook, LinkedIn, YouTube and other networking sites about member experiences and activities within the Association. Develops classes and workshops to help members expand their market to include culturally-diverse clients and international business opportunities. Commercial Practicioners and their Affiliates: Members of the Commercial Alliance Committee will post the latest updates on legislation that affect commercial real estate. Provides commercial members the opportunity to gain professional knowledge by meeting to discuss market data and topics of professional interest to commercial REALTORS®. Establishing a Commercial Exchange. REALTOR® & Affiliate Members: Researches technology needs and tools of today's real estate market. Provides hands-on workshops and technology summits to enhance member business practices through technology. REALTOR® & Affiliate Members: Encourages the communications, information and education necessary to reach out to young professional members. Meets and discusses issues and matters affecting YPN's business and ability to do business. Provides input to the Association regarding the development of YPN initiatives to promote information and opportunities on how to get involved at the local, state and national levels. 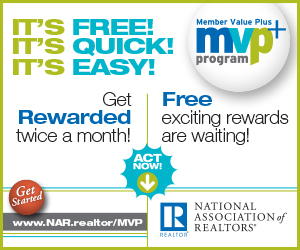 Ready to serve the REALTOR® organization on the state level? Your willingness to participate is greatly appreciated. Please review the committee descriptions, as some have changed, and please note that some committee positions are dictated by our bylaws and policies so space may be limited. Please note: Committee meetings date/times do overlap and this should be considered when making your committee requests. Volunteers are the most important resource community organizations have. The ability of people to work willingly together for the betterment of their community and themselves is a valuable resource. Real estate brokers and agents understand their communities like few other business professionals, given their work connecting properties with renters, home owners, and small businesses. Because they spend much of their time becoming familiar with and highlighting the attributes aspects of their local areas, they are natural boosters for their communities. RPCRA recognizes and supports our Members, Community Organizations and Charities. REALTORS® not only help make the dream of homeownership a reality, they also help build better communities. In small towns and large cities across the globe, REALTORS® help shape and promote community values, giving their time and effort to noble causes. The initiatives highlighted offer examples of how REALTORS® are working to strengthen and support our community. Many members do volunteer work and give back to the communities in which they live because they realize tremendous personal satisfaction from helping others and making a difference in their own ways. Some of the shining examples of selfless volunteers are recognized through NAR's annual GOOD NEIGHBOR AWARDS PROGRAM. VOLUNTEERING WORKS, now in its seventh year, is a program that pairs REALTORS® who work on small-scale charitable efforts with grant money and mentors to help expand the reach of their charities. Volunteering Works recipients show a passion for improving their communities and have the potential for their charitable work to expand and improve with the help of an expert mentor. They receive a year of one-on-one mentoring from members of the Good Neighbor Society, which features past recipients of the REALTOR®MagazineGood Neighbor Awards and is the highest honor that NAR awards to REALTORS® who are involved in community service. Volunteering Works recipients will also each receive a $1,000 grant. In this digital age, hyper-connected consumers often think they can do anything and everything with a click of the button, including buying a home. The current real estate landscape gives consumers false hope that the process is as simple as seeing your dream house online, selecting it and moving in. This is an idealized fantasy perpetuated by house hunting shows, easy apps and a DIY mentality. What many of these consumers don’t realize is that real estate transactions are fraught with ups and down, ins and outs, and pitfalls along the way to their dream home.